Most young people who had worked to put the excess funds are still confused. One of the coveted young people to invest is a property. Well, usually young people will be confused with many questions, such as where the exact location, properties such as what the prospects are good, to which one is most profitable. How to tips on choosing an investment in the property sector? Here are some tips that quoted by The Sydney Morning Herald, Wednesday (23/11/2011). 1. Ask yourself, why do want to invest in property, and what you want to earn? If you want to get rich quick, then this is not the path you should take. Indeed, we have seen a surge in property prices a few years back, but property prices as well as the economic cycle, rising slowly. Despite the crisis, but in the next few years we will still see growth in property prices. Average property industry players like to follow trends. For reasons that can not be explained by common sense, they just chase the property at the time the price went up. So, we can be sure the price increase would still occur in the coming years. There are still many other factors that support the rising property prices. But, it is hard to guess when the price goes up and up to how big the increase. Instead of wondering pairs better with a long-term targets follow the development of national economy. Currently, the crisis was engulfing Europe and the United States (U.S.), but these external factors will not affect much on the economy of developing countries. Thus, property prices will not fall upon this sentiment. If you are young and just intend to get into the property industry, you have plenty of time to save money while looking at the world market developments. Do not rush. Once you seriously want to put some funds in a property, search for deep information about the industry, ranging from enterprises to the current trend. There have been many stories of developers who asked for a down payment after it disappeared swallowed by the earth before the property was completed. Do not be lured by cheap but an investment with high returns. There are many ways to explore this kind of information. Internet has opened the window wide open. This is the most appropriate place for young people who want to look for news about the property. Not only that, read newspapers and magazines are also reputable property that contains the news. The Internet also provides the price, location to where you are looking for a loan to buy the property. If you want to know the current trend, the article also read the opinions of the perpetrators of the property. It is undeniable, in the minds of young people investing in property can provide a high profit. 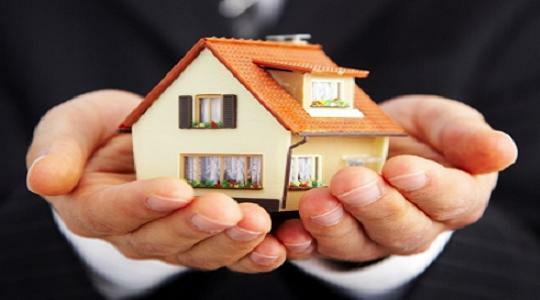 It is also generally supported by both parents who have experienced a home or other property. But, if you are young with more money and do not have dependents, it never hurts to invest elsewhere. This is done so that your investment is balanced, not heavy in one sector alone. Even though you've just worked, but nothing to lose if you set aside a little of your income to invest in stocks. Or you could just push the advance of funds in the stock. Once you can profit, the funds can be used to purchase the property. Learn to invest early on to hone our ability to dredge dollars in the future. No need to set aside funds to start investing too much, say around Rp 10000-50000 per week. Although small but better than nothing. This small approach teaches you to share the risk. Your funds will not go away if anything happens, different if only placed in one container. If you intend to sublease the property you buy, such as houses or apartments, then you should have more money for the cost of care. If you buy property to live in, still needed the extra money, for money cleanliness and safety of your property maintenance as well. The best step you can do is keep more money in savings before buying property. With this, you are better protected than any other additional costs. The old adage says, buy a house that is not too far from downtown. No need to complete with supporting facilities such as lifts and swimming pool or gym, but try the location does away with the general means. The location is close to downtown is good, but watch the growth of his city in what direction. Do not let the suburban location of the property we would not even be developed by the government. Buy property adjacent to the railway station is always the best option because the facility will continue to be used in a long time. When populations are increasing rapidly, the mass transport will become increasingly important. But be careful to areas that have a negative sentiment, such as near airports or terminals that are always crowded. In fact, inter-city roads are very busy every day can be a problem. Such areas should be avoided. Notice the people around, like what people who live in the area. Selections are also those who intend to rent your property, do not accept just anyone. Buy a resale property that is easy when you need it. If a property has been offered for months but have not sold well, look for the cause. Do not you already bought but it proved difficult to resell. When you buy just to buy property, do not spend all your funds to pay the mortgage. Make a high-interest savings and easily melted (do not choose a long-term deposits). Use this savings as your reserve fund. These funds can be used for treatment or even widening of your assets. You must be disciplined with this fund, should not be used for anything else except for your property. If it is still possible, after you buy the property and have a reserve fund, you should continue saving. But, if you buy a property to live in, then you better speed up repayments only if there is more money. By paying more quickly, then the total cost that you can spend less, especially to avoid the burden of interest repayments. It is more profitable than saving more money in savings. However, if you buy property for rental purpose. So, let the rent is responsible for the mortgage. Lebihnya money you can save. If you buy a property that is still not perfect, you do not need to worry. You have plenty of time to make reforms and beautify your property. It would be better if you work directly in this reshuffle. Arrangement of rooms, ranging from wall color to form floor tiles, can be done alone with a little learning. However, for some matters, such as electrical, plumbing, roofing installation, you can contact a professional. Always ready to care for and keep your property well, try to always look perfect. That way, you can attract more tenants, even with competitive rates. Rundown rental house which looks definitely shunned tenant, the price fell too. Suppose you already have one property in your investment portfolio, and now you want more. Do not rush. Remember, your investment balance first, do not just play in the property only. Follow the whole series was well above tips. If your capital structure is very solid, then you may purchase another property. However, it has two or more properties means higher risk. The next property investment is better for the longer term, rather than just for resale. Hopefully you are successful property investment.